Water, and its protectors, are fighting for survival. As I’m writing, the Supreme Court of Canada is hearing historic legal challenges from the Chippewas of the Thames and the Inuit of the Clyde River. The Chippewas are protesting the reversal of and increased flow along Enbridge’s Line 9, which transports oil through more than 100 waterways across southern Ontario and Quebec. The Inuit of the Clyde River, Nunavut, are protesting seismic testing by mining corporations that threatens to disrupt or displace marine life forms on which they rely. Both parties are presenting evidence that decisions on these extractive processes were made in violation of treaty rights. A matter of hours before these cases were heard, Prime Minister Justin Trudeau approved two more major pipeline projects in British Columbia – the Transmountain and Line 3 projects – that will vastly expand the amount of oil transported from the Alberta Tar Sands to global markets. These pipelines will also increase the exposure of the province’s rivers and coasts to the threat of chemical spills from the pipes themselves and increased tanker traffic, whose possible negative effects on marine life have not been sufficiently examined. The toxification of water in Canada, and especially in Indigenous communities, is a constant threat to livelihoods and ways of life. Just a week before the Supreme Court Hearings, a report by the Toronto Star found that residents of Asubpeeschoseewagong First Nation (Grassy Narrows) Ontario, are consuming fish containing 13 times the acceptable levels of mercury. This is the ongoing and neglected legacy of the dumping of 10 tons of mercury into the Wabigoon River in the 1960s. And of course, further south, one of the most remarkable social movements of the this generation is taking place. Militarized police forces are using water cannons, rubber bullets, barbed wire and old-fashioned physical violence to protect pipeline developers against thousands of water protectors, composed largely of members of the Sioux Nation and their allies, camped at Standing Rock. Whether in court, in the camp or in their own communities, water protectors are putting their bodies on the line to demonstrate that ‘water is life’. If water is life, can it die, can it go extinct – and does this matter? At the moment, I am working to re-think mainstream accounts of extinction so that they better reflect the enormity of what is at stake. Standard biological definitions – ‘the death of every member of a species’ – are fraught with exclusions and constraints that, despite feverish rhetoric surrounding a possible ‘sixth mass extinction event’, actually downplay the gravity of the situation. My (developing) ideas on global extinction are not conventional. I refuse to focus only on ‘species’ that are deemed to be ‘living’ within Western scientific frameworks of knowledge. Instead, I am examining how structures of violence – in particular, colonial and extractive modalities – destroy the continuity of worlds and the co-constitution of the beings that create them. From this perspective, global extinction is not just an ‘(unintended) effect’ emerging from the actions of ‘humans’ as a whole. Instead, it is a mode of structured destruction, a large-scale syndrome of combined violences concentrated in particular places and sustained by the efforts and power of particular groups of humans. These structures are uniquely global – and I don’t use this term to refer to a ‘neutral’ measure of scale. Rather, it reflects a particular mode of large-scale worlding, rooted in European images of an encompassing globe, that seeks to elide itself with earth (for more thoughts on this, check out last month’s post). These structures fracture worlds, protocols, life forms and collective continuities achieved amongst them. If we approach global extinction this way, how does water fit in? Can it die, and can in go extinct? In a recent book, Elizabeth Povinelli asks whether rocks can die. She has particular rocks in mind: Two Women Sitting Down, two female rat and bandicoot Dreamings in the Northern Territory in Australia. In 2011, the Two Women were fractured by OM Manganese, the mining company extracting minerals in the region for export to Chinese markets. 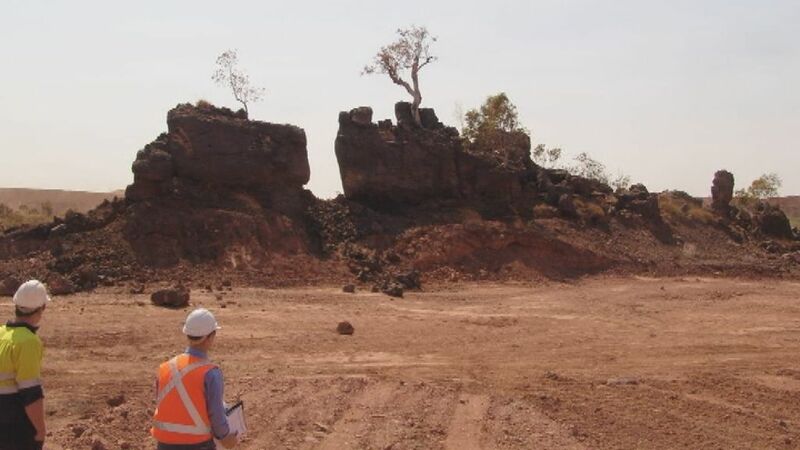 Although this was the first legal suit in which destruction of a sacred site was successfully brought by Indigenous owners in Australia, the amount of the damages awarded ($150 000) was paltry. More to the point, though, Povinelli stresses that the charge was not manslaughter, but rather desecration of a sacred site. Her work has long documented the ways in which state actors pay lip service to the animacy of Dreamings. In fact, they often demand that Indigenous communities perform certain ‘beliefs’ that confirm Western stereotypes and standards of ‘authenticity’. But at the same time, it is clear that the animacy of these beings is regarded by state actors as a matter of ‘belief’, ‘myth’ or ‘metaphor’, rather than knowledge. This explains why the destruction of Two Women Sitting Down did not ‘count’ as a killing, but rather a kind of offence against ‘beliefs’. According to Povinelli, Two Women Sitting Down and other Dreamings challenge the basic foundations of geontology: the structures of power and knowledge in which ‘Life’ is divided from ‘Non-life’ within Western scientific culture. For Povinelli, geontology underpins all forms of bio-, necro- and thanato-politics. These are strategies used to manage life and death through, amongst other strategies, population control, security regimes, conservation practices and genetic engineering. Geontology also provides the foundations for the construction of resources, commodification and the circulation of capital by designating what does and does not have ethical standing – and therefore, what can be used as ‘resource’. ‘Non-Life’ almost always falls into the ‘resource’ category. Simply by existing as themselves, figures like Two Women Sitting Down unsettle the boundaries between Life and Non-Life – and, I would argue of the scope of harm (or something like ‘harm’ – perhaps another concept is needed). This does not only go for rocks. Povinelli also writes about Tjipel, a ‘transgender creek’ whose multiple becomings – as human girl, river, resource, Dreaming, home, relation, possible fracking site and more – confound geontological categories. Other bodies of water, too, are asserting themselves across geontological boundaries to transform politics. For instance, in 2012, the Whanganui River in Aotearoa New Zealand was given a legal identity under the name Te Awa Tupua (claims to traditional ownership of the river are ongoing). This gave the river the same rights and interests long offered to corporations. In asserting its personhood in legal terms, Te Awa Tupua became the first body of water to receive this status. However, formal legal status is not required for water to disrupt entrenched, colonial political categories. 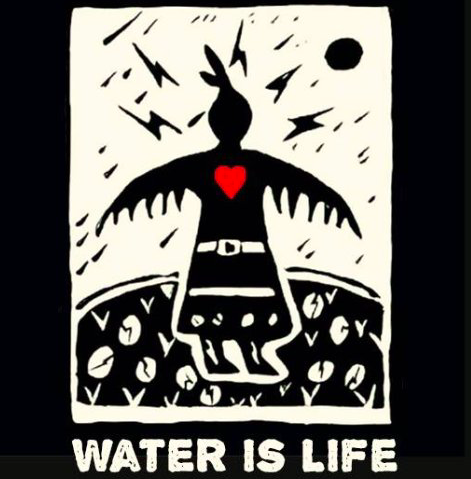 The water protectors at Standing Rock, on the coast of British Columbia, all along Line 9, the Clyde River, Grassy Narrows and elsewhere are not just advocating for water, but as water. This constitutes another powerful challenge to dominant political regimes, and asserts water as a political and ethical being, that can live, die and experience harms. But can water ‘go extinct’, and does this matter? If so, this might offer a way to bring the status of water as life into mainstream discourses – not as an alternative to recognising the political, ethical and legal status of water, but rather as a complement. Before exploring this question, it’s important to distinguish death from extinction, especially in the way I’m re-framing these terms. As Deborah Bird Rose has pointed out, life and death intertwine so that death is twisted back into life, in part through the collective efforts of the living, ensuring the continuity of multi-life-form communities. Extinction destroys both life and death – as such, it cannot be the same as death, or simply a scaled-up version of death. I would add to this that while death refers to the Western scientific definition for the cessation of life in an individual organism, extinction applies to multi-life-form collectives. That is, extinction is the destruction of plural modes of being, their deep histories and contingent futures. Also, as I have argued above, global extinction is not just an accumulation of deaths, or even of species extinctions, but large-scale structures of violence that sever the creative continuities of life. Water is not included in mainstream discourses of extinction, except occasionally as a factor in the deaths of animal or, more rarely, plant populations. That is, water is not considered to be a being capable of going extinct, or a subject of extinction. This assumption exemplifies the kinds of geontological and biontological reasoning that Povinelli is concerned with. Unlike many other cosmologies, in Western science, water is understood as a form of Nonlife that relates to Life as a resource that supports its vital processes. However, a closer look at Western understandings of water show that these assumptions do not hold water. This understanding of water imagines it as a pure, neutral medium that is somehow outside of, or an external medium for life (and its messy, colliding histories), a resource that life ‘uses’ instrumentally. Under the banner of H20, Western cultures frame water in terms of its chemical composition, as a ‘pure’ substance or theoretical abstraction. Jamie Linton calls this imaginary substance ‘modern water’. In fact, actual waters are co-constituted by beings that are usually coded as ‘life’ in Western terms. This includes not only macro-fauna such as fish, algae or kelp, but also the myriad bacterial and other microscopic beings, alive and dead, that constitute it. These beings cannot be meaningfully separated from water, so water is not just a ‘resource’ for them, but the condition of their existence. Similarly, the ‘modern water’ paradigm promotes an imaginary, generic idea of water that is ultimately the same in its physical properties wherever it appears, give or take differences in temperature, salinity, mineral content and so forth, and of course, the effects of ‘pollution’. In fact, waters are also made plural by the singular constellations of beings – classed as Life and Non-Life, organic and inorganic, by Western science – that co-constitute them. As such, the toxification, damming or other damaging of a body of water constitutes the destruction of unique worlds, not the manipulation of a generic substance. At the same time, it is better known that water constitutes living beings. It is a well-worn cliche that water makes up most of the human body, including the structure of living cells. However, less recognized is the way in which water is the condition of the modes of being coded as ‘Life’ by Western science. Instead, it tends to be treated as a resource that is separate from organisms and brought into them through eating, drinking or absorption. On the contrary, water is as much a milieu for ‘land-dwelling’ creatures as air is. It is not outside of bodies, but always-already part of them. Beyond nourishing bodies, quenching their thirst and lubricating their movements, water conditions and transforms life. Moving through bodies and worlds, it leaves traces or concentrations of toxicity that inhibit life or force it into new modes of growth. Patterns of evaporation and rainfall creatively constrain the life forms that emerge in the effort for collective survival (for instance, the difference between rainforest amphibians and desert plants). The volume and direction of rivers affects not only access to water, but also the way that life orients itself in space towards or away from it. Water conducts sound – greatly intensified by shipping and mining – that can allow cetaceans to communicate, but also injure, disorient and displace them, along with other marine life forms and the communities that live in concert with them. In all of these cases, water is an inalienable condition of life, not a substrate that ‘Life’ uses instrumentally. From this perspective, life is co-constituted by water and vice versa (to say nothing of how water co-constitutes other forms of ‘Non-Life’, including place, climate, air and soil). Changes in water alter the conditions for the flourishing of life forms and can drive their extinction. But at the same time, the elimination or displacement of life forms that co-constitute water undermine its conditions and the singular worlds it forms. Of course it is possible theoretically to imagine an abstract version of H20 without any traces of ‘Life’ or other forms of ‘Nonlife’, but this would not be the concrete, plural waters on which multi-life-form worlds rely. So, even from perspective rooted in Western science, water co-constitutes, is co-constituted by, and therefore is life. Carried to its logical conclusions, Western science finally, arrives where multiple bodies of Indigenous thought have dwelled for millennia. Viewed in this way, water can go extinct, in the sense that I have described above. That is, water is a co-constituent of multi-life form worlds whose integrity and continuity is severed when any of them are destroyed. Another way of putting this is to say that it is impossible to understand global extinction without including water (or air, or soil, but those require a separate discussion). The harm and destruction of global extinction are distributed across bodies, boundaries, ‘species’ and geontological categories in such a way that their full impact can’t be grasped if any of these beings are excluded. From this perspective, the harms and violences of global extinction accrue directly to water in itself, not just as an indirect resource for life. What is the advantage of understanding water as a subject of extinction? First, this approach helps to break down divisions that impose particular ontologies and denigrate forms of being that don’t ‘count as Life’. In so doing, it provides another fulcrum for destabilising dominant modes of politics that exclude ‘Non-Life’ (including forms of life categorised as such). This can complement the powerful efforts of Indigenous groups and their allies around the world to assert the living status of water. Second, this approach offers a much more comprehensive account of extinction and the enormity of the damage it inflicts across worlds. In a similar sense, understanding the destruction of waters as part of global extinction underscores the importance of water for the continuity of life on earth in a broader, more-than-human ethical sense. Third, understanding threats to water in terms of global extinction offers another way of highlighting, diagnosing and resisting the structured destructions, slow and fast violences advancing across the earth. It is important to stress that this argument is indebted to Indigenous knowledges about water and not intended to displace them with yet another ‘Western’ approach. On the contrary, my aim is to show Western knowledge systems and political powers cannot avoid facing the consequences of their arbitrary distinctions between ‘Life’ and ‘Nonlife’, and the violences carried out in order to maintain them.